Q. Last year, my wife and I followed The Times’s suggestion and went to Morocco for two weeks with my family (we have two daughters, ages 12 and 10). We had the best vacation ever. For our vacation in July, we would really like to replicate our Morocco experience, which was cultural, adventurous and exotic. Any suggestions for us? A. Turkey, a dynamic nation that straddles Europe and Asia, East and West, ancient and modern, is one country that fits the bill. 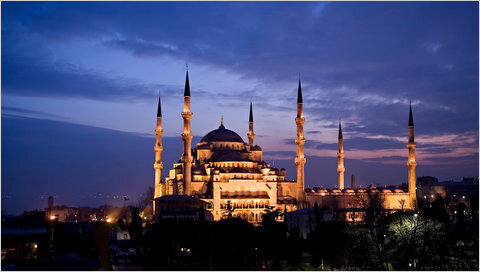 Fly into Istanbul, and explore the city’s rich culture and history. Visit the Old City, where many landmarks and must-see sites are clustered, including the Hagia Sophia, the Hippodrome, Topkapi Palace and Blue Mosque (above). A scenic cruise down the Bosporus, the strait that bisects the city, can provide a nice break from the bustle of the city.